Since the birth of GPS NAVIGATION, many of us admit that we’ve forgotten of our collection of maps and atlases.. New technology means we use them much less, but there are numerous ways to incorporate maps into our home décor. 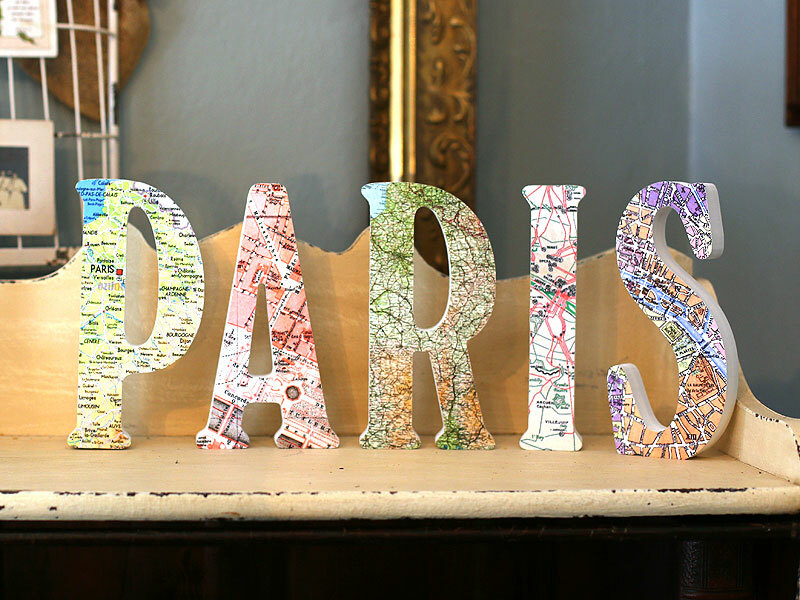 The well-known place to hang a maps is the wall, however there are a lot of other ways you can display your maps. 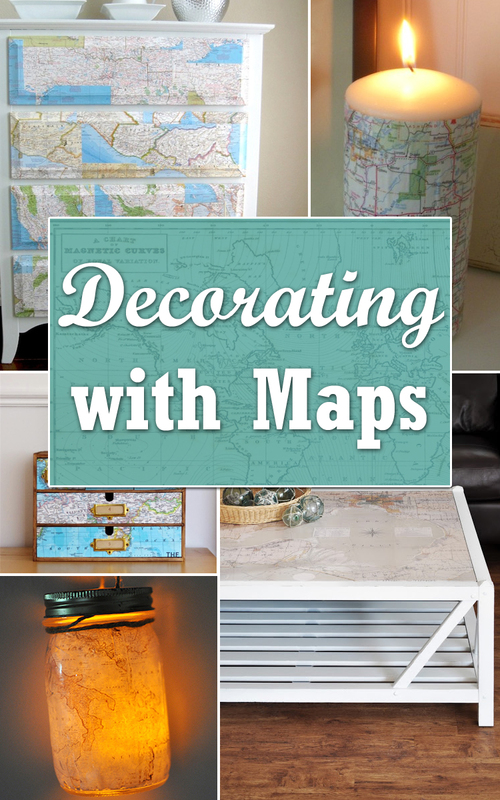 Here are some more clever ways for decorating with maps, from a simple map garland to a more complex coffee table. 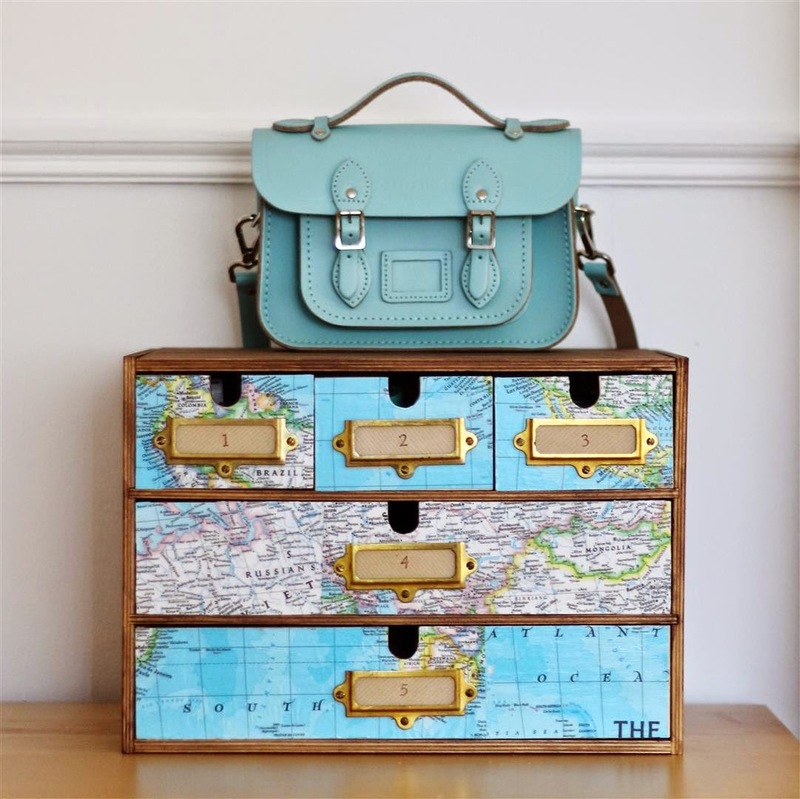 You can decorate a plain chest with map paper to remind you of your travels and add a bit more of a vintage look. This is a fun project with some maps you brought back from your last trip as well. 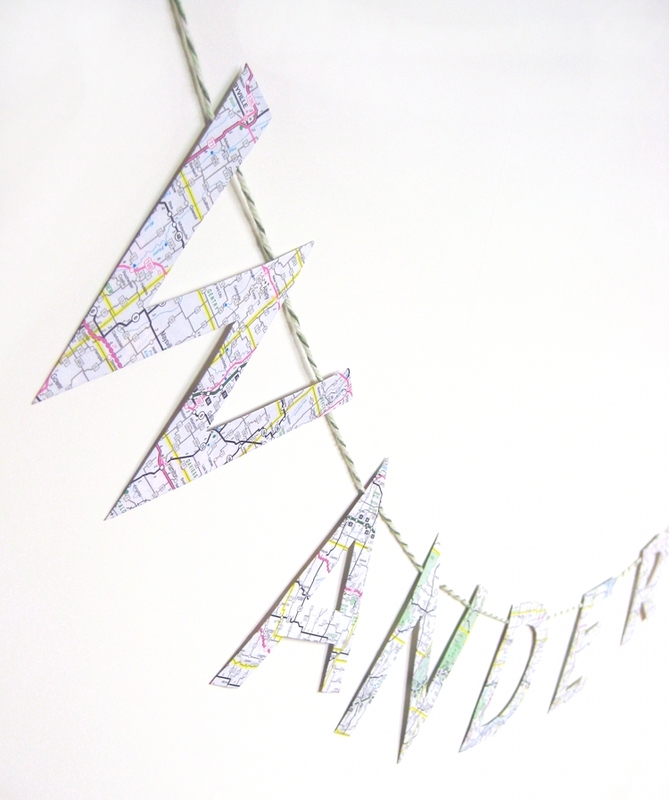 Turn outdated road maps into a wonderful reminder of trips you’ve taken. 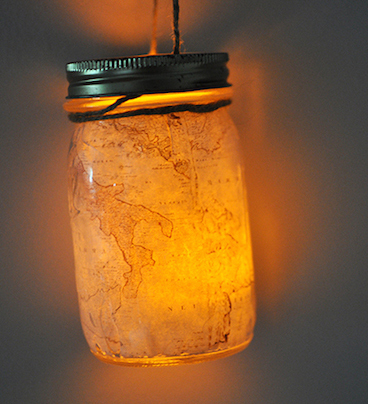 Use Mod Podge to add a map to a mason jar, turning it into a awesome lantern!